New Year’s resolutions, especially of the fitness variety, can be difficult to kick start after a holiday season filled with sugar cookies, toasts, champagne, and homemade gravy the likes of which you can only get at Mom or Grandma’s house. They can likewise be difficult to maintain through the winter months at the beginning of the year, when snow days make us want to curl up on the couch with hot chocolate and indulge in hearty, warming meals. Luckily for Boulderites, there are numerous Boulder County breweries that offer organized athletic activities, from runs to yoga sessions and more, that promise the motivation and socialization of a group activity and that extra bit of incentive that a delicious craft beer is waiting for you at the end of your workout. Boulder County is not only the playground of a large population of cyclists, runners, and hikers, but is also home to over 40 breweries and, while Boulderites might enjoy being active and healthy, they also enjoy the spoils of living in a place of such diverse food and beer. With a local population who so largely enjoys both exercise and reaping the rewards of it, Boulder County brewery fitness-related events help Boulderites continue bettering themselves and foster an even stronger sense of community. As we begin the second month of 2016, here are some Boulder County breweries helping Boulderites stay active (and stay hydrated!). Shoes & Brews was born out of this very concept that running and beer could, and should, go together. “It made sense to us that the two could not only coexist as a business, but help each other and build a sense of community,” says Anderson. True to its name, Shoes & Brews in Longmont is one part running shoe store and one part craft brewery and taproom, offering a social environment where these two activities and passions can be combined and thrive. Shoes & Brews likewise blends these activities through ongoing running activities and challenges as well as annual events. From their 800m Road Challenge (the time in which you run the challenge is the price you’ll pay for your beer), to their annual events (Shoes & Brews collaborates with Left Hand Brewing Company for an annual Sole Mates 5k in the fall and the Longmont CollaBEERation 5k & Brewfest in the spring), to their weekly social runs, which often see turnouts of up to 80 participants, there are opportunities abound at Shoes & Brews to enjoy the social activity of walking or running, a delicious post-workout treat, and a great sense of community. Shoes & Brews hosts their Thursday night social run/walk at 6:00 PM throughout the year. In the spring a Saturday morning run is added to this line-up. Be sure to check the Shoes & Brews website for more information about their upcoming races and running events. Opening as a nanobrewery in 2012, Bootstrap Brewing in Niwot has grown immensely from its roots as a homebrewing passion project, and it shows no signs of slowing down. Noting that owning a brewery is absolutely as much fun as they always hoped it would be, owner Leslie Kaczeus says that Bootstrap is planning on doubling their production this year. 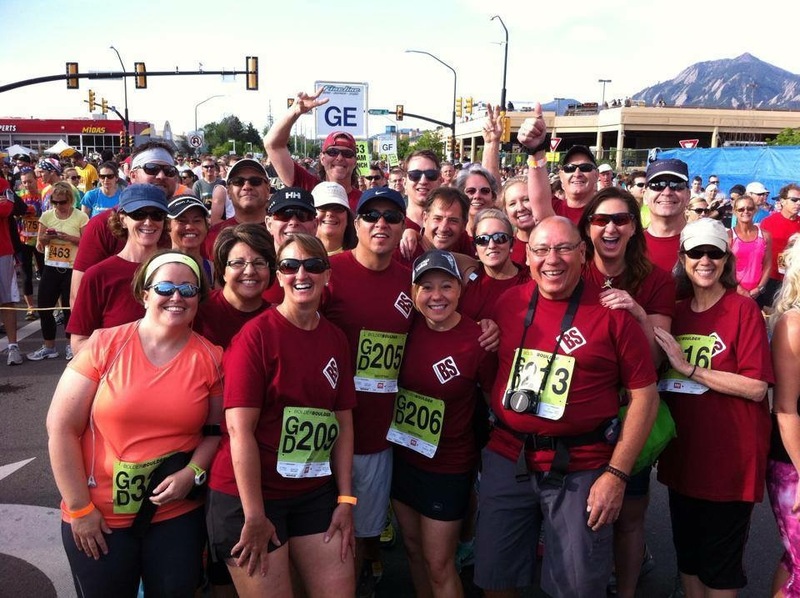 Two years ago, Kaczeus and friends decided that it would be fun to have a Bootstrap Brewing group run the ever-popular Bolder Boulder 10k race on Memorial Day. Calling on the expertise of a friend who was passionate about running, they began hosting weekly running groups where anyone who wanted to participate could go on a guided run and then visit the Bootstrap taproom for a “rebuilding” recovery beer afterward. The idea was a popular one, and Bootstrap has been putting on guided runs ever since. “It’s always fun on Bolder Boulder day to rally everyone together,” says Kaczeus. She notes that these weekly running groups have been the impetus for a lot of local friendships as well, and that they are great active social events. Bootstrap Brewing hosts their Run Club on Sundays from January through Memorial Day at 1:30 PM. Attendees are encouraged to run, walk, or participate in whatever capacity they are most comfortable with. A craft brewery in Longmont with a name inspired by the 300 days of sunshine that we’re lucky enough to bike, run, and hike in here in Colorado, 300 Suns Brewing collaborates with Verve Movement Studio to put on weekly Barre to Bar events. Participants pay $12 for a drop-in class at Verve and are then invited to an exclusive happy hour at 300 Suns with special prices on beer, wine, and cider after the class. Barre to Bar events are held at Verve Movement Studio weekly on Wednesdays at 6:00 PM. Sanitas Brewing here in Boulder is a brewery known for its delicious beer, its relaxed atmosphere, and the mouthwatering tacos available daily from the McDevitt Taco Supply truck parked just outside their doors. 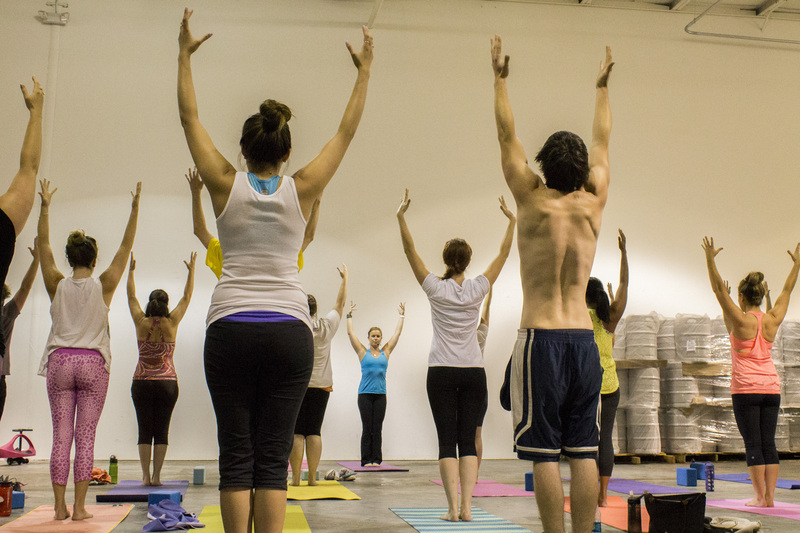 What Sanitas has also come to be known for are their weekly yoga events put on in their brewery by Bee Yoga. These Brewhouse Yoga events provide Boulderites the chance to both enjoy a workout and a post-yoga pint with their classmates after the session is over. These yoga classes are geared towards maintaining overall balance in life, and the brewery setting (so very different from the sometimes sterile feel of studio yoga) is fun, engaging, and a conductor for networking and building community both during and after the class. Brewhouse Yoga with Bee Yoga is hosted at Sanitas Brewing on Tuesdays at 6:00 PM.